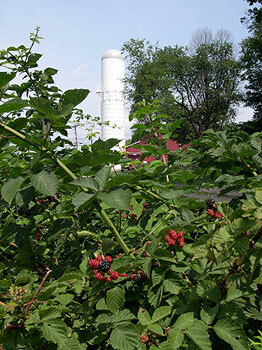 White Silo Farm & Winery has become a top-rated specialty winery made from farm grown rhubarb, blackberry, raspberry, and black currant. Happy Acres Farm consists of 96.916 ± acres, which will be preserved by the Town for agricultural use in perpetuity. Rated “Best Small Town in Connecticut” three times by Connecticut Magazine, Sherman boasts a plethora of open spaces and recreational facilities including playgrounds, playfields, boat moorings, bathing beaches, ice skating and hiking trails. The Appalachian Trail goes through the northern end of Sherman. 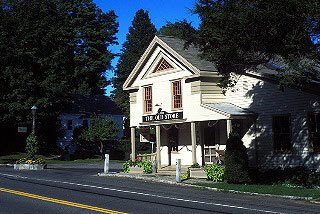 The town also conducts many recreational and cultural activities throughout the year, such as Sherman Farm Day and an old-fashioned Memorial Day Parade, for the benefit of residents. Sherman’s Parks & Recs Commission also offers a multitude of exciting opportunities for kids and families including access to an excellent nature trail that runs from the Town Park over the mountain to Colonial Park, summer sports camps for baseball and soccer, and SPARK, an afterschool recreation program, that runs every day after school from 2:30 - 6:00 pm. An important organization to the preservation of land in Sherman is the Naromi Land Trust. Founded in 1968, it is a 501 (c)3 organization dedicated to preserving the open spaces, farmland, ridges and scenic vistas that define the rural character of the town of Sherman (www.naromi.org) . 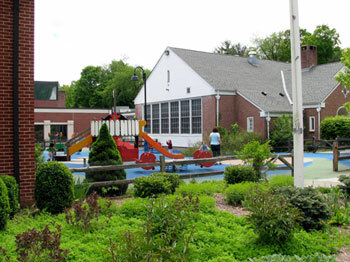 Named amongst the top four schools in Connecticut, Sherman has an excellent Pre-K through 8th grade school that consists of approximately 450 students (www.shermanschool.com). There are three sections of all but two grade levels. Middle School (grades 6-8) is departmentalized with Spanish beginning in seventh grade. Special classes include physical education, music and art. Instrumental music instruction begins in fourth grade. Technology is integrated into the curricula with the use of two mobile computer labs, one stationary computer lab and classroom computers. Four special education teachers service the student population. Remedial reading and math is provided for students in need. Guidance and psychological services are also available. Sherman High School age students have a choice of six area schools to attend. A gathering place for local residents and a center for community programs and activities, The Sherman Library ( www.biblio.org/sherman/) houses over 28,000 books, audio books, films and other materials. Fully computerized with an annual circulation of 50,000 items, the Sherman Library is an important cultural center in town. The library also offers over 200 free programs, exhibits, story hours, book discussions, concerts and events each year. Currently, the Sherman Library is planning an expansion to accommodate its growth. For more information about the town’s government, community organizations, recreational activities and schools, visit www.townofshermanct.org.